I understand that the vast majority of what people post here isn’t original content, but images with the iPhone or Facebook toolbars are even uglier than most website’s watermarks. 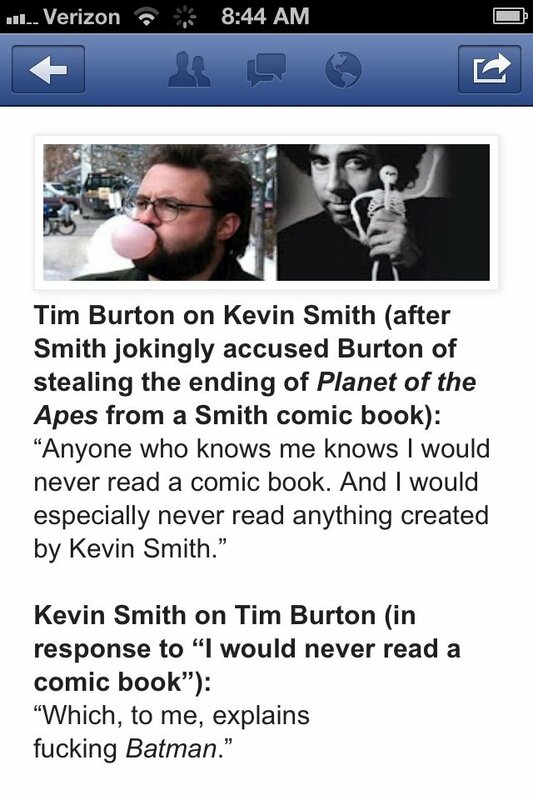 Hope Smith WAS joking as the ending of Burtons (horrible as it was) version was the ending of the ORIGINAL BOOK. It says “he jokingly said”. The director who gave us Jersey Girl does not get to criticize the goddamn Batman. As a side note, when Kevin Smith attempted to write Batman, he was much worse at it than Burton was at directing Batman movies.